KOTA KINABALU: The Magistrate’s Court here yesterday fixed March 13 for a re-mention of the case involving the owner of the catamaran that capsized while heading to Pulau Mengalum, claiming the lives of four tourists from China last month. Magistrate Stephanie Sharron Abbie set the date after an application from the deputy public prosecutor pending a decision from the Attorney-General’s Chambers as to whether the case of the accused Leong Vin Jee, 43, is to be brought to the Tourism Court or otherwise. DPP Umar Faiz Abd Kohar said at least six other charges would be made against the accused. Leong’s counsel Edward Paul did not object to the DPP’s application. On Feb 5, Leong pleaded not guilty to the charge framed under Section 282 of the Penal Code for allegedly carrying passengers that exceeded the limit permitted by the boat license. 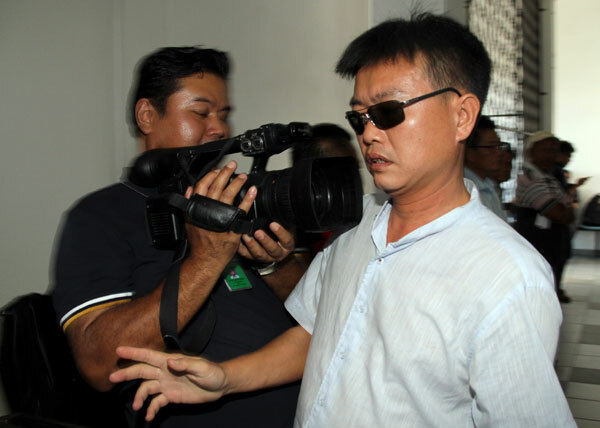 Leong was released on a bail of RM5,000 with one local surety. On Feb 4, catamaran skipper Sharezza Sailin, 26, was sentenced to six months’ jail after he pleaded guilty to the same charge with Leong.